Do you remember the mobile I made for my daughter's nursery? I used all of the cards I received when she was born to make the butterflies. She still loves it and wakes up every morning "talking" to her butterflies. 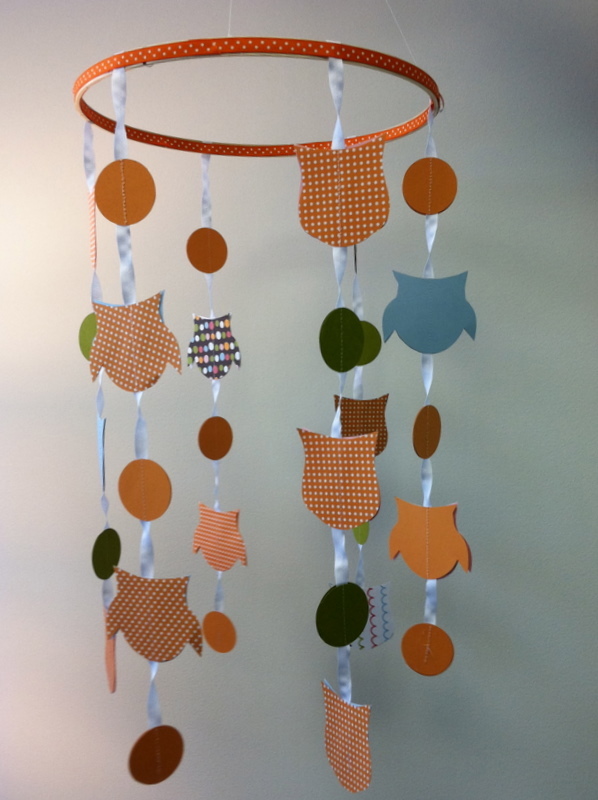 I recently made a variation of the mobile using owls made out of scrapbooking paper. I used two owl shapes that I found searching google images for owl silhouettes. 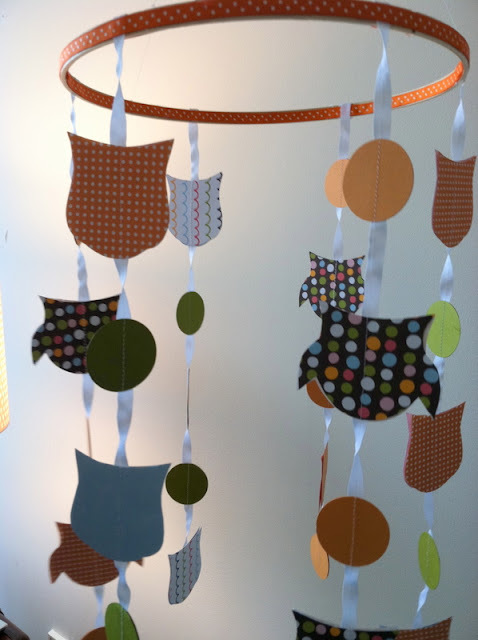 When I made her the mobile she didn't know if she was having a boy or a girl. She had a boy and they fit his Midcentury Mod Meets Woodland nursery perfectly. To make your own click here. Can you please tell me where I can find instructions to make this? I LOVE it! !